Viacom and CBS stock dropped Monday morning after Shari Redstone called off a months-long exploration of a merger between the two companies. The market moves came after CNBC reported that National Amusements, the controlling shareholder of both media giants, had put an end to the merger talks. National Amusements subsequently released the letter it sent to the CBS and Viacom boards. "We have concluded that this is not the right time to merge the companies," the letter said. "Following the management changes that the Viacom board put in place, we have been very impressed with the forward-looking thinking and strategic plan being pursued under Bob Bakish's leadership. We know Viacom has tremendous assets that are currently undervalued, and we are confident that with this new strong management team, the value of these assets can be unleashed." "At the same time," the letter said, "CBS continues to perform exceptionally well under Les Moonves, and we have every reason to believe that momentum will continue on a stand-alone basis." So the merger talks -- which were not exactly embraced by Moonves in the first place -- are now over. The move comes at the end of a roller coaster year for Viacom, which has been underperforming other media companies at a time of massive industry-wide change. Shari Redstone, the daughter of National Amusements chairman Sumner Redstone, squeezed longtime Viacom CEO Philippe Dauman out of the company over the summer. 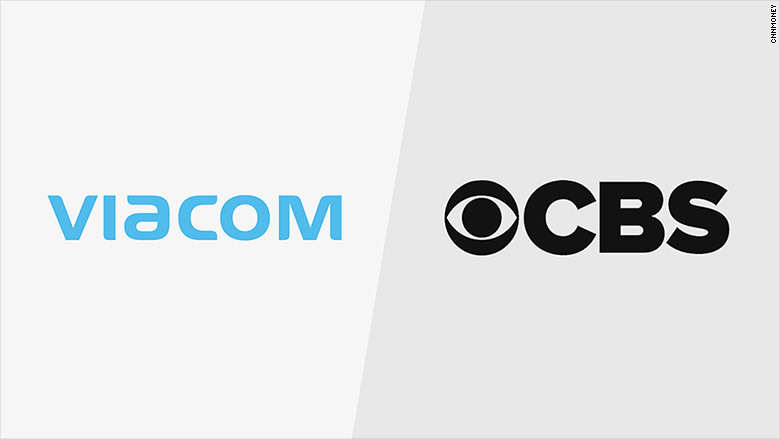 Then the Redstones sent a letter to both Viacom and CBS in September asking them to consider a merger. Since then, Shari Redstone has gained more confidence in the leadership of Viacom, two sources told CNNMoney. Bakish was named the interim CEO at the end of October.